Available in dead tree and pixel versions. Human beings evolved in a tribal environment. Over the millennia, our brains have become adept at fostering social networks that are the basis of group cohesion, from the primary family unit to the extended associations of clans, villages, cities, and nations. This essential social component of our behavior gave the human species distinct survival advantages in coping with the challenges of an often-hostile environment. Tribal Science examines the many ways in which our tribally oriented brains perceive and sometimes distort reality. The author describes how our social nature led to the development of cognitive tricks that have served us so well as a social species. Some examples are our habit of imposing patterns on random phenomena, of weaving entertaining narratives to explain the mysteries of the universe, and of favoring the biases of group think. Luckily, we also stumbled upon science, which McRae views as a fortuitous accident. With this new technique, humans had discovered a method of objectively evaluating the accuracy of our traditional tribal notions. Even more important, the scientific method proved to be self-correcting, allowing us to weed out the bad ideas from those that really work. McRae argues that science is our most successful social enterprise to date. Through the sharing of scientific ideas, our species has expanded the reach of the tribal community to a global scale. Our problems may be bigger than ever, but science gives us a sure basis in reality and the best method of facing the daunting challenges of the future. "Science has never been more important, or more deeply misunderstood. 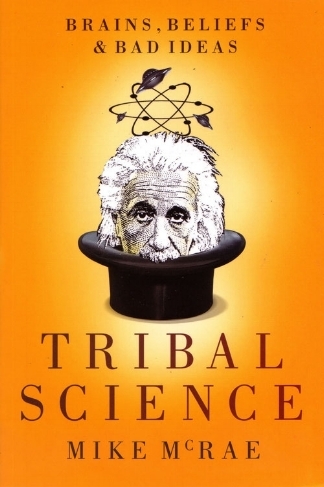 Tribal Science explains what science gets right, with a light sense of humor and a keen sense of why so many—even scientists—get science wrong. McRae’s sharp eye for historical detail and natural storyteller’s art make for a joyous and entertaining tour of science’s evolution and the ways that human evolution and biology have shaped what science became. Readers of all tribes will find much to enjoy in these pages." "Whether you’re new to the shadowy intersection of science and belief or a seasoned traveler, Tribal Science will turn your assumptions on their heads. It invites you to marvel at still-stranger vistas and tempts you to walk the paths that others overlook." "Our modern, luxury-filled world is full of things we tend to take for granted. It is amazing how we as a human tribe have overcome our natural unscientific thinking. 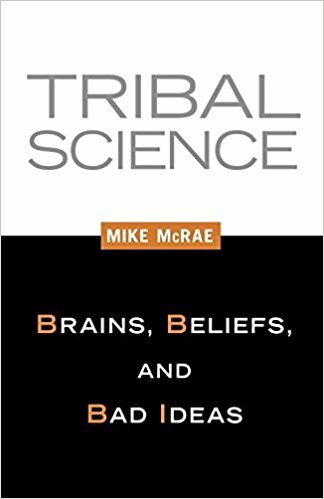 McRae has done a superb job of taking readers through a tale that gives insight into how we have gone from nothing but superstition and fallacy-filled understandings of the world to our present civilization built upon a legacy of scientific observations and evidence." Pandora Robinson was confused. What made a belief true or false? What gave words their meaning? And was a lie still a lie if you truly believed it? Sometimes the world just didn’t make a lot of sense. Answering questions at school was hard enough, but after meeting a most peculiar mechanical man and his silent young companion, Pandora faces the hardest question ever. Are we the same person today as we were yesterday? From the lair of the Sphinx to the bowels of The Theseus, clues to the answer abound, but will Pandora be able to put them together in time to save an unlikely friend and still make it to court in time to stop them taking her away from her Dad.